Girls, if a man ever asked you this question (pray no one would), how would you respond? It’s a touchy subject. For society, saying ‘yes‘ to this arrangement seems to confirm lunacy. The Church equates cohabitation with immorality. Common sense tells any woman to ditch the guy, he is surely not the one. If this is an item in a multiple choice test, which answer do you think is best? Yes, we both want to discover more about each other before we get so involved. No, if you love me, why don’t you marry me instead? Yes, I love you. I’d do anything you want. No, my parents are Catholic. It must be tough being a man. You’re not completely sure what kind of trouble you’re getting into. You fear your partner will be fat. She will stop saying “I love you” everyday. She won’t be stealing kisses from you, instead she’ll be nagging at you. She won’t feel as excited as she used to when you’re together. She will feel terrible being stuck with the same person for as long as the law (or church) requires. She will realize that you are not as amazing as she has imagined you to be. I could go on and on exposing your fears but your time is precious so I’ll spare you the obvious. Before Ally completely drives us crazy and wordy (word count: 278) solving her problem, do you think she would say ‘yes’ had the guy asked “will you marry me“? Maybe. She was not straightforward from the beginning. Perhaps her silence on the matter (i.e. marriage) stems from modesty or from her fear of driving the man away. Deep down, she knew she’d appear desperate or needy if she had raised the subject. I should meet the scriptwriter to put an end to these maybe’s. 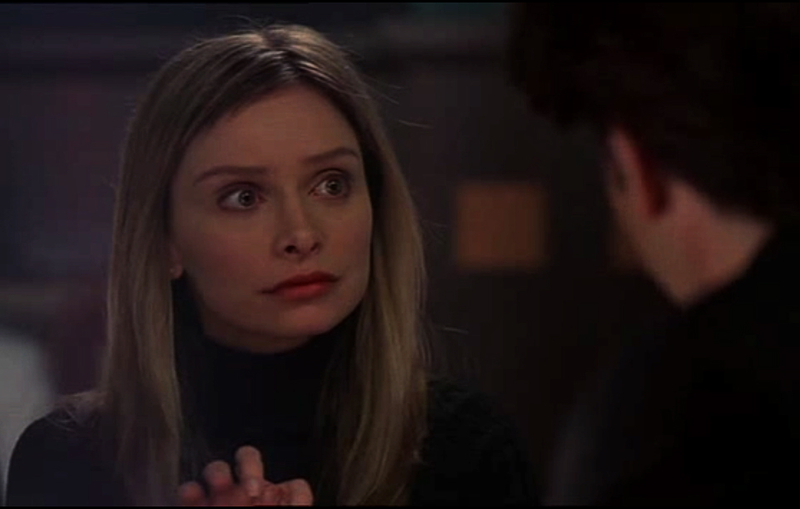 I have to admit I feel silly watching Ally Mcbeal at times so I focus on other characters for laughter, wisdom, and worthwhile (English) conversations. John Cage, Richard Fish and sometimes, Ling, managed to save the series from its inevitable early demise. For instance, a friendly advice from Fish made me chuckle: You know, Ally, no matter how low I set the bar of common sense, you amaze me in your ability to slither under it.